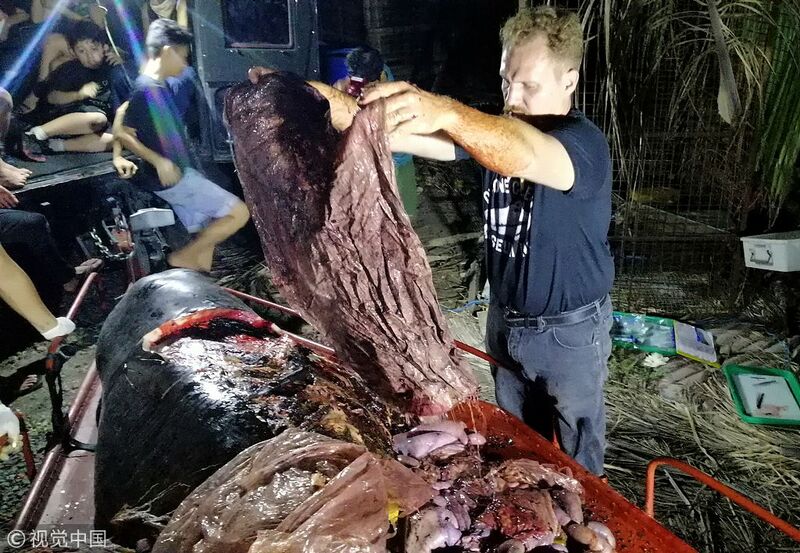 This whale died in the Philippines with 88 pounds of plastic in its stomach. Warning: graphic images. 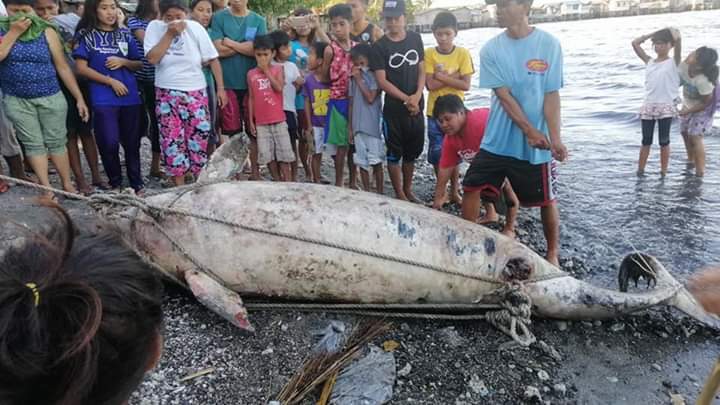 A whale that washed up in the Philippines was found dead with 40 kg of plastic bags inside its stomach. 🐋🤢 The Philippines' D' Bone Collector Museum found 88 pounds of plastic in a dead whale's stomach, "the most plastic we have ever seen in a whale"